Demetiro and Hip Hop Man are father/son. Straight falls for the rudos. 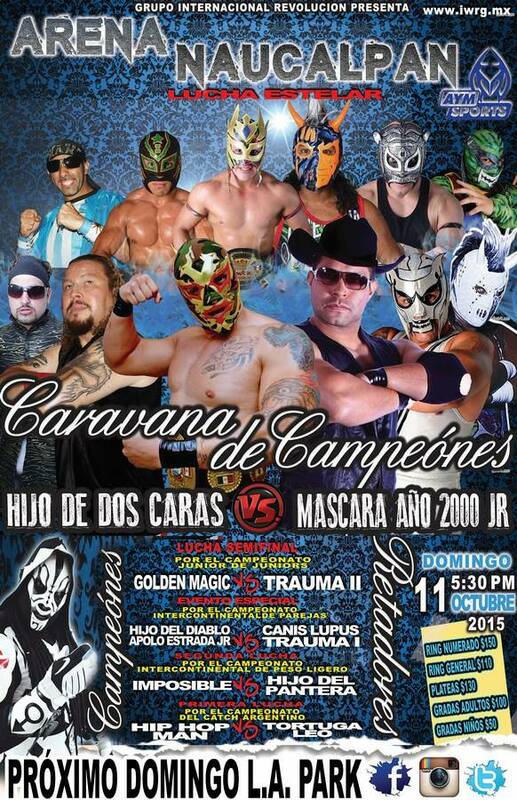 Trauma II wants a title match against Golden Magic. 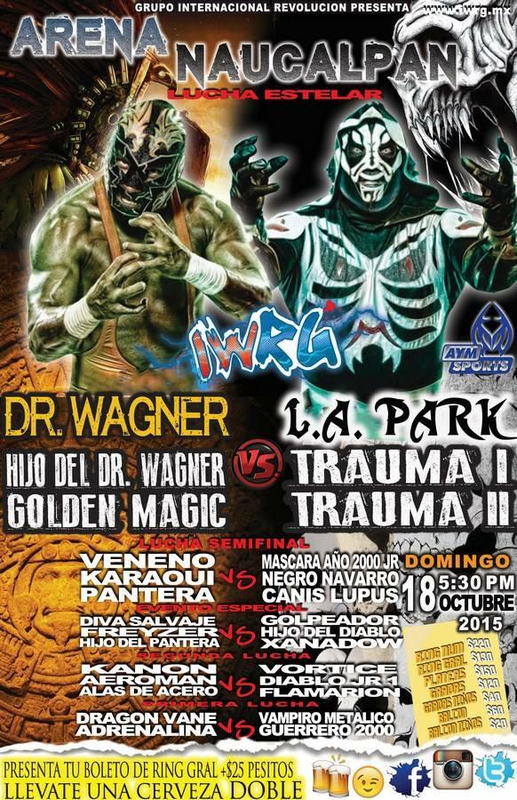 Team Wagner took 2/3, the last when Hijo de Dr. Wagner appeared to distract Mascara into a loss. 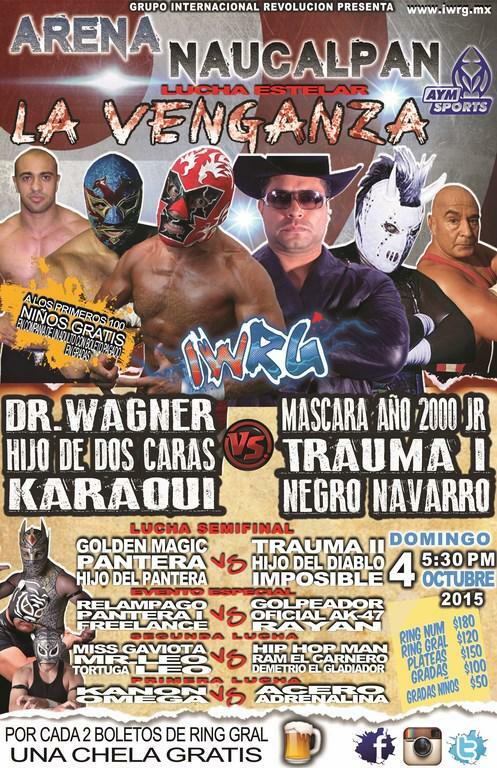 Navarro challenged the Wagners to a match. second defense. Hip Hop Man's father was his second. Imposible 10th defense. 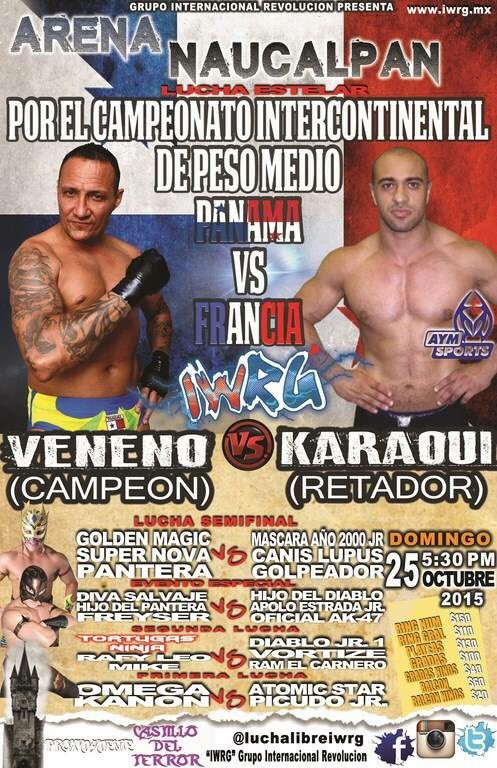 Imposible gave credit to Pantera for being a good opponent and said he'd be open to a rematch. first defense. Diablo used a ref distraction to smack Trauma I with a weapon for the win. Lupus & Trauma were angry with the finish, so they took the belts and left. The commission brought the belts back a few minutes later. first defense. Straight falls, a surprise to all. Trauma II was DQed in the first and surprised in the second. Very good match, money thrown in. Trauma II handled his loss better than his brother. Mascara jumped Dos during the title match photo. Dos still took the first, but Mascara took the second. 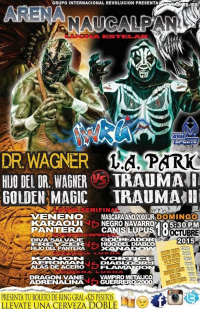 Dos got a visual submission with the referee down in the third, Mascara dropped him with a martinete and got the pin off that. Dos falls on the sixth defense. Mascara dedicated the title win to the memory of Hijo de Cien Caras. Veneno had many problems and cost his team the match. Heddi Karaoui beat him up afterwards and challenged him to a title match. 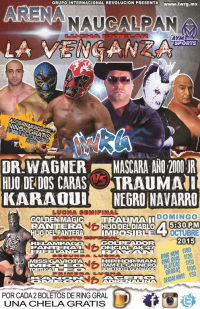 Mascara 2000 Jr. ran out in the third fall and attacked Wagner for the DQ. He still wants revenge for the mask loss. Diablo faked a foul from Diva. bloody straight fall win. 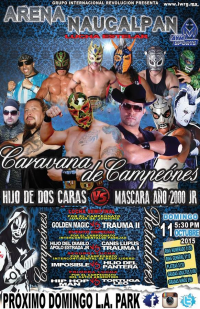 Golepador and Canis are feuding with Super Nova & Golden Magic, pulled the masks for the win. 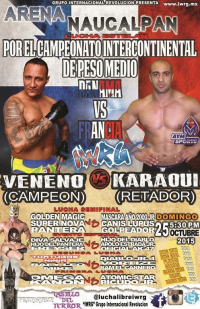 Karaoui took falls 2/3 to win the title, with some help from Mascara Ano 2000 Jr. Veneno had zero successful defenses. 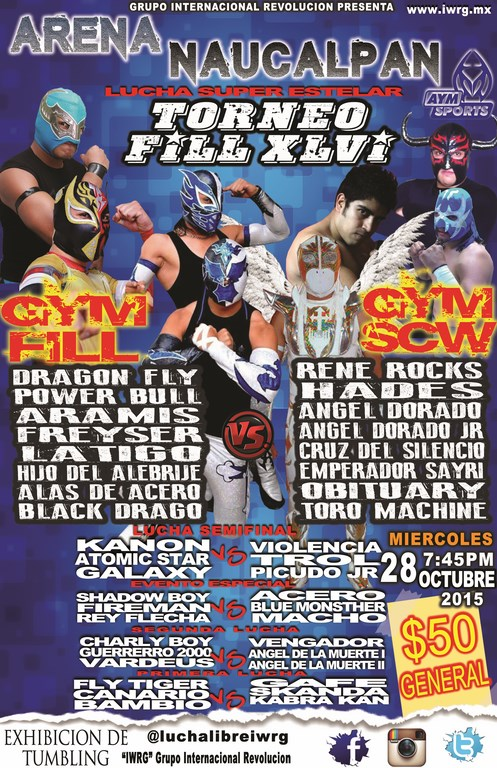 Torneo FILL XLVI; Gym FILL versus Gym SCW. 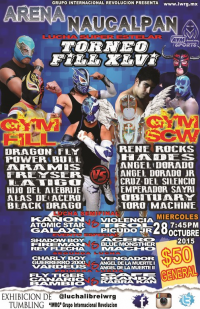 Latigo & Obituary aren't listed in the team lists on the results, but Latigo was involved in the finish, the Morelia team has 8 people and Obituary is listed on the poster. Match came down to Latigo & Rene Rocks, with the outsider getting the win. Eterno blamed the loss on Black Terry and vowed revenge.